Amazon US has started taking pre-orders for the Nintendo Switch Pikachu & Eevee Edition. 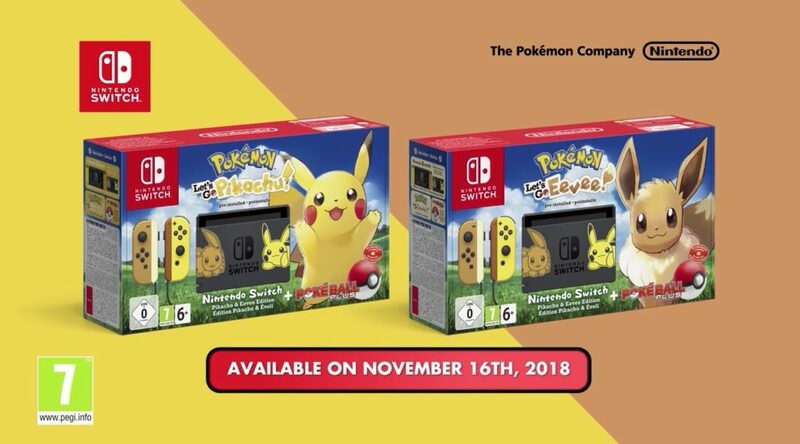 The Nintendo Switch Pikachu & Eevee Edition comes with a copy of the game (Pokemon Let’s GO Pikachu or Eevee), special design Joy-Con, special design Nintendo Switch Dock, and Poke Ball Plus. Launches November 16, 2018.